At ION Audio, their catchphrase says it all.. Sound Experiences. 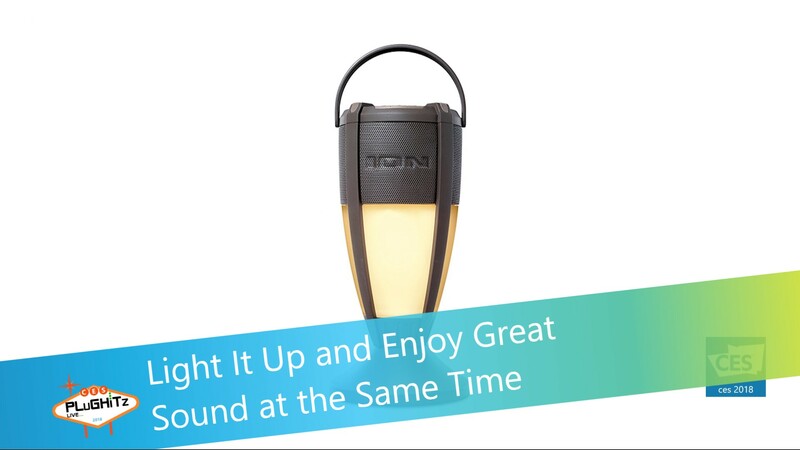 ION is known for their unique lighting and sound products that enhance any space. Whether you have a peaceful, elegant outdoor setting or a complete party palace, you are sure to find inspiration when browsing their product line. We particularly liked two of their new additions for 2018. When spending time in your outdoor space, lighting is key. Tiki torches are always a fun addition to the backyard but we're not always in the mood for that bamboo look, and filling them up with oil all the time can really be a pain. A nice set of elegant electric torches would be great, but who wants to spend a fortune and then hassle with the installation process. That's where ION has come to the rescue with Tiki Sounds. They use a warm-white LED bulb with realistic flicker effect. And don't worry about installation. Not only are they solar, requiring no wiring at all, but they are also designed to fit into your space in multiple ways. They can be staked into ground, placed on a table, or hung on a tree. Also built in is a 10W full-range 360° Bluetooth speaker with Multi-Link. This enables you to pair unlimited Multi-Link enabled speakers together for an all encompassing sound experience that completely fills your entertaining space. Another great Multi-Link product coming out soon is the Solar Stone Multi, and upgrade to their current Solar Stone series. These 6.5-inch, 20 watt speakers offer dynamic power and since they look like a stone, they add a great aesthetic to your yard as they are designed to fit right into the landscape. They are also Bluetooth enabled and can easily pair with the Tiki Sounds, as well as any other Multi-Link enabled speaker. Like the torches, they are IPX4 water-resistant and they recharge by embedded solar panel or with the included AC cord. The Tiki Sound will be available later in Q1 2018 and will be priced at $69.99 for one or $119 for a pair. The Solar Stone Multi will go on sale in Q2 2018 and be priced at $129 each. Interview by Chase Lowery of PLuGHiTz Live Special Events.